Back-to-School August Soirée and a review of Crossover! We cannot see with our eyes when our imagination is out of focus. The above quote was shared in a recent speech given by Kwame Alexander at the biennial Simmons Children’s Literature Symposium in Boston. 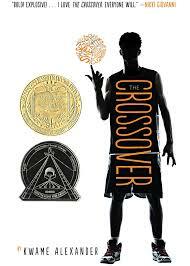 I was thrilled that Kwame Alexander was speaking as he is the most recent recipient of the Newbery Medal for his wonderful book Crossover. C rossover would make a brilliant family read-aloud as it is a hip, yet lyrically beautiful story of identical twin brothers and their lives seen through the metaphor of basketball. Kwame understands relationships, family, and community and has written a fast-paced, at times funny, and other times heart-wrenching story of life and universal lessons of the human heart. His presentation touched on many areas, but one important theme was the power of imagination to help us truly see what is real. Twain’s quote above reminds us that it is often through the power of literature that our imagination can be enlarged and we can be set free from our prison-houses of self absorption. The last Saturday of August I’ll be hosting my sometimes annual Back-to-School Soirée. I would like to present the topics of most interest in the group so if you plan to come please vote on the following: Renaissance & Medieval, Early American, Modern America & World (Civil War to Contemporary–based on our two new guides) and/or a session on Poetry in the Home. Each of the former historical periods will be explored through the best literature to use across various grade levels. For the Poetry in the Home session, the currently popular trend focused on memorization of facts highlights the importance of what we set the minds of our children to memorize. This powerful faculty is critical to cognitive development, but can be infinitely effective in cultivating a sense of humor, facilitating joy in the family, and encouraging moral and ethical awareness. Some ladies mentioned they would like to have books for purchase at the Soirée, so if that is something you’d like to see please let me know. •Please note this is a Lady’s event. We do hope to offer a couple’s event some time early 2016, so watch for that. Also, nursing babies 4 months and under are welcome to attend with their mamas. Hope to see you here! I have 3 friends that would love to join us! Would you mind sending them an “official” invite? From: Rea Berg’s Book Blog Reply-To: Rea Berg’s Book Blog Date: Tuesday, August 4, 2015 11:58 AM To: Lisa Sulewski Subject: [New post] Back-to-School August Soirée and a review of Crossover!